Study Spanish at the premier Spanish School in the amazing city of Ixtapa, Mexico. Our Spanish school in Ixtapa, Mexico will offer Spanish students from all over the world the highest level of Spanish education available. The Ixtapa Language School is part of the prestigious Teach Me Mexico network of Spanish Schools that are widely recognized as being among the best in Mexico and the World. 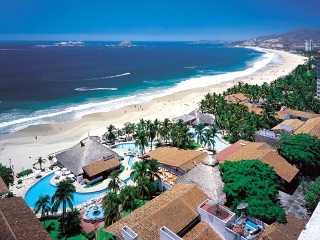 Ixtapa is one of the most prized beachs in Mexico. When the Ixtapa Language School opens you will be able to enjoy your Spanish lessons in one of our air-conditioned classrooms or on the nearby beach. The Ixtapa Language School offers a wide variety of Spanish packages, so you are sure to find what you are looking for. You can also contact us to create a custom Spanish package here at our Spanish School in Ixtapa, Mexico..
All of our Ixtapa Spanish School staff is looking forward to the opportunity of servicing your Spanish learning needs.